How much do you know about alfalfa sprouts? Did you know it is a healing food? 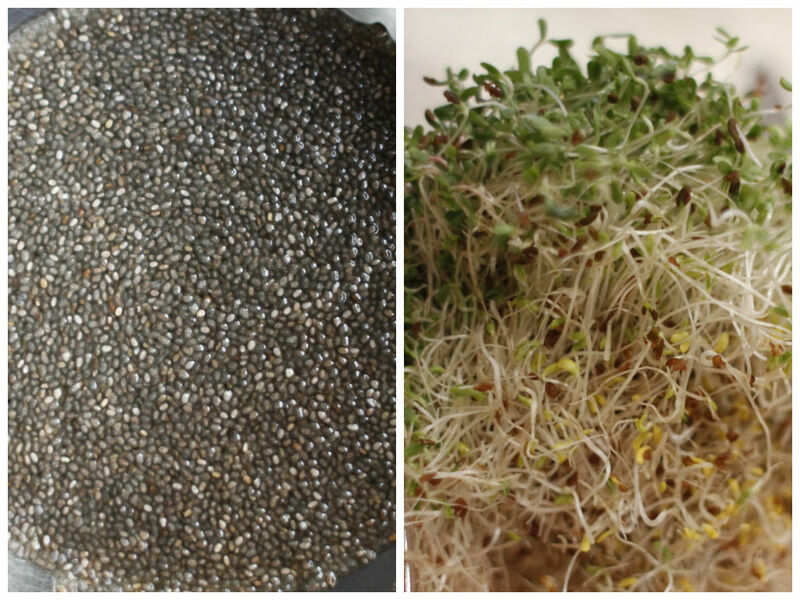 Alfalfa sprouts are the shoots of the alfalfa plant, harvested before they become the full-grown plant. Because they are so small, the sprouts contain a concentrated amount of certain vitamins and minerals such as calcium, vitamin K and vitamin C. They are one of the most significant dietary sources of phytoestrogens, that can help reduce your risk of heart disease, cancer and osteoporosis. Saponins in alfalfa sprouts can help lower your bad cholesterol while also increasing good cholesterol. Saponins might also help boost your immunity. An easy way of using them is rinse under running water and add into your salads, sandwiches, wraps and burgers. 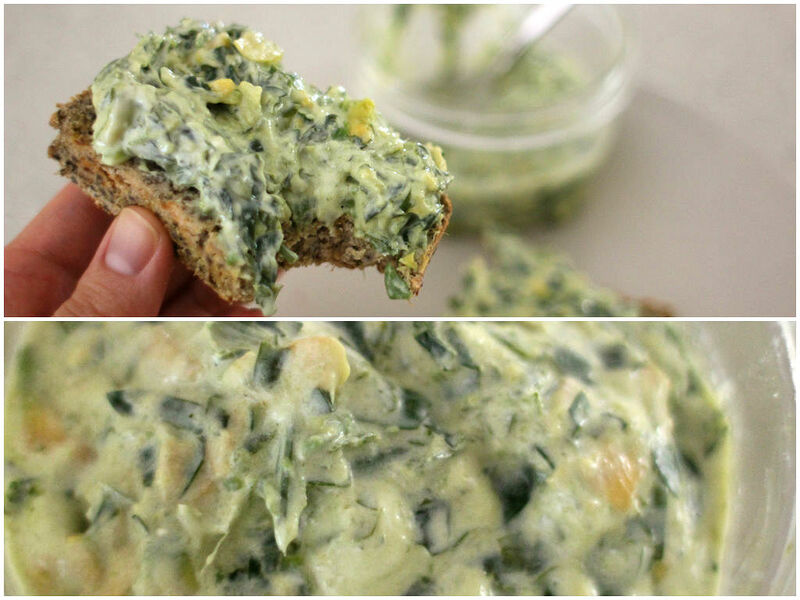 I used to make this awesome gluten free bread, which turned out to be really good. 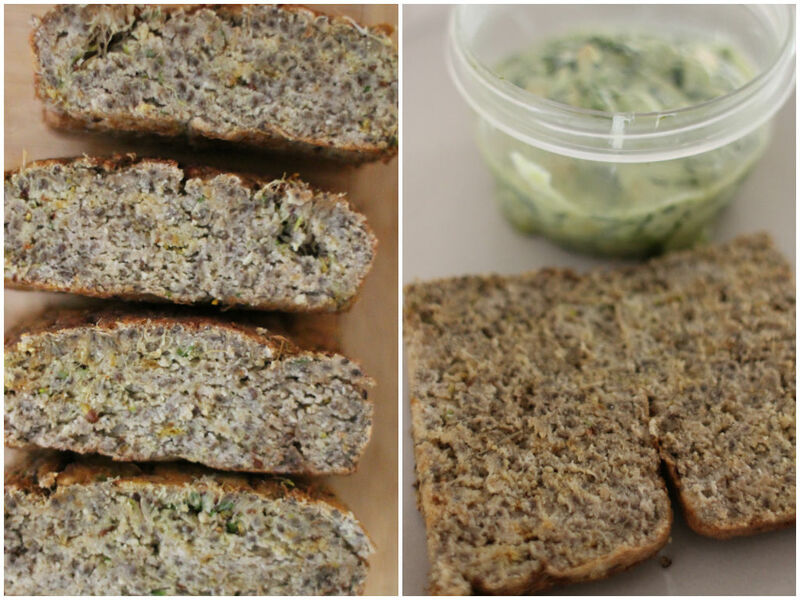 You don’t need to pay ten dollars for a loaf of sprouted bread any more when you can make it so easy at home. Plus, for my lunch, I made a quick guacamole to spread on this beautiful slice of bread. Yum! Simply place all ingredients in your food processor and blend until smooth. Transfer to a serving bowl and refrigerate until serve. Soak chia seeds in earl grey tea until it gets thick and gel-like. Add eggs in and gently whisk to combine. Add coconut oil and yogurt in and stir to combine. Add the rest of the ingredients, stir well to combine, pour the mixture into a loaf tin and set aside for 10 minutes. Bake in the preheated oven (180) for 40-45 minutes until cooked. Take it out of the oven and let it cool in a tin.